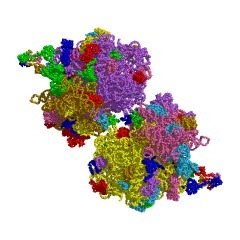 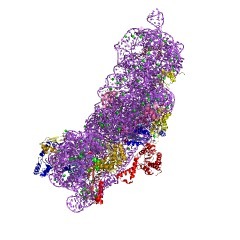 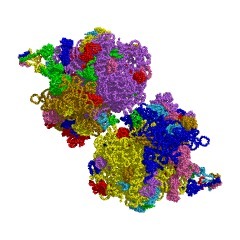 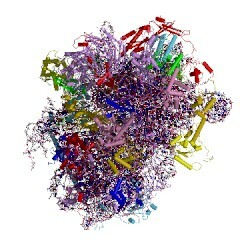 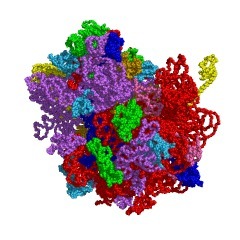 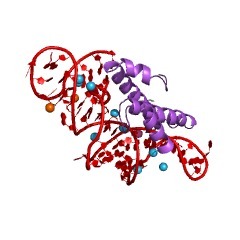 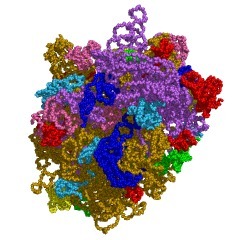 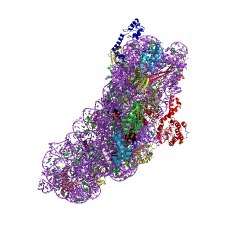 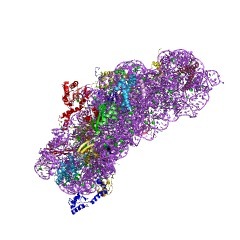 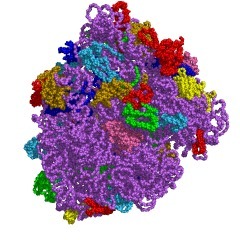 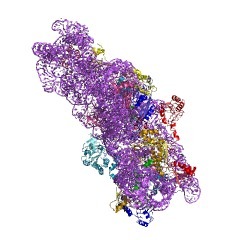 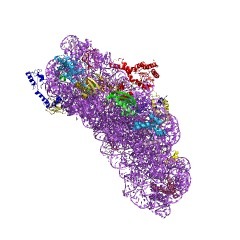 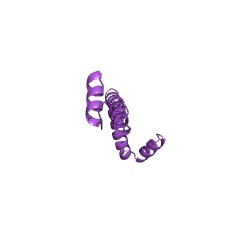 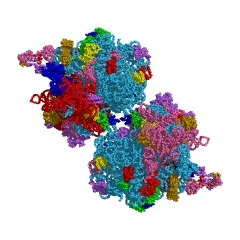 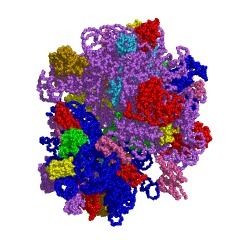 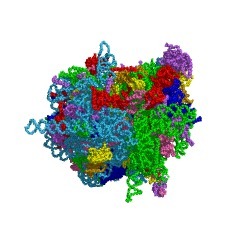 Ribosomal protein S15 is one of the proteins from the small ribosomal subunit. 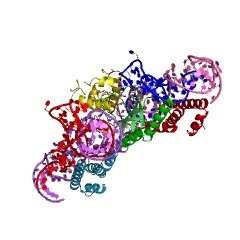 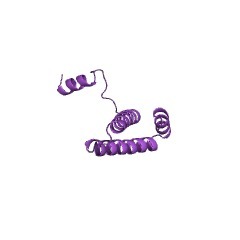 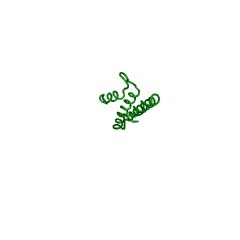 In Escherichia coli, this protein binds to 16S ribosomal RNA and functions at early steps in ribosome assembly. 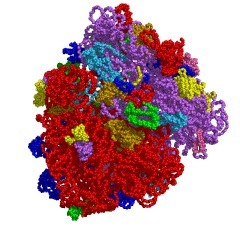 It belongs to a family of ribosomal proteins which, on the basis of sequence similarities [(PUBMED:2263452),], groups bacterial and plant chloroplast S15; archaeal Haloarcula marismortui HmaS15 (HS11); yeast mitochondrial S28; and mammalian, yeast, Brugia pahangi and Wuchereria bancrofti S13. 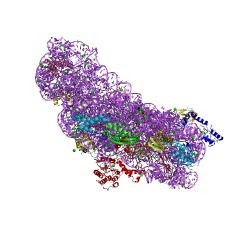 S15 is a protein of 80 to 250 amino-acid residues. 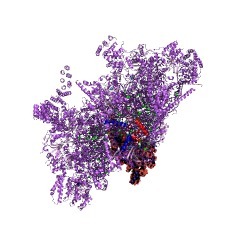 There are 19547 Ribosomal_S15 domains in 19538 proteins in SMART's nrdb database. 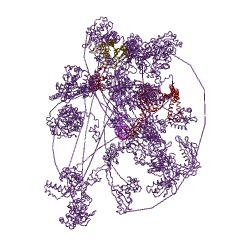 Taxonomic distribution of proteins containing Ribosomal_S15 domain. This tree includes only several representative species. 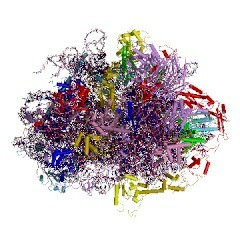 The complete taxonomic breakdown of all proteins with Ribosomal_S15 domain is also avaliable. 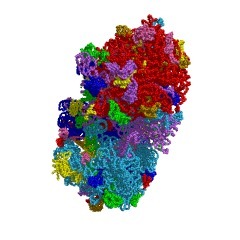 Click on the protein counts, or double click on taxonomic names to display all proteins containing Ribosomal_S15 domain in the selected taxonomic class. 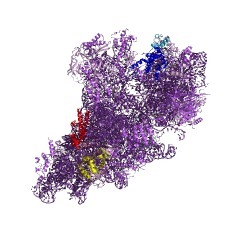 BACKGROUND: Ribosomal protein S15 is a primary RNA-binding protein that binds to the central domain of 16S rRNA. S15 also regulates its own synthesis by bindingto its own mRNA. 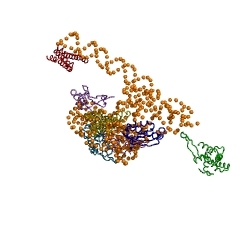 The binding sites for S15 on both mRNA and rRNA have beennarrowed down to less than a hundred nucleotides each, making the protein anattractive candidate for the study of protein-RNA interactions. 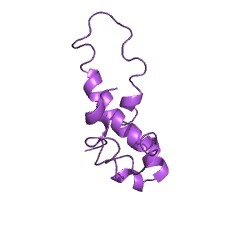 RESULTS: Thecrystal structure of S15 from Bacillus stearothermophilus has been solved to 2.1 A resolution. 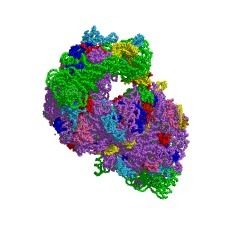 The structure consists of four alpha helices. 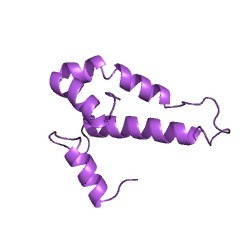 Three of thesehelices form the core of the protein, while the N-terminal helix protrudes outfrom the body of the molecule to make contacts with a neighboring molecule in thecrystal lattice. 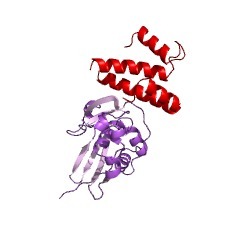 S15 contains a large conserved patch of basic residues whichcould provide a site for binding 16S rRNA. 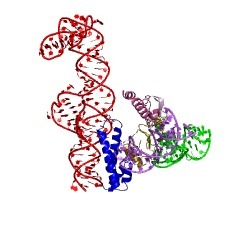 CONCLUSIONS: The conformation of theN-terminal alpha helix is quite different from that reported in a recent NMRstructure of S15 from Thermus thermophilus. 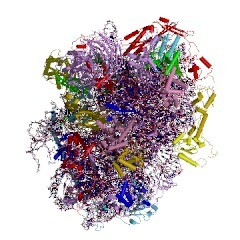 The intermolecular contacts that thisalpha helix makes with a neighboring molecule in the crystal, however, closelyresemble the intramolecular contacts that occur in the NMR structure. 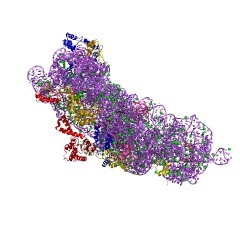 Thisconformational variability of the N-terminal helix has implications for the rangeof possible S15-RNA interactions. 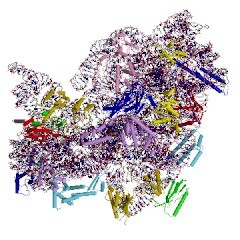 A large, conserved basic patch at one end ofS15 and a cluster of conserved but exposed aromatic residues at the other endprovide two possible RNA-binding sites on S15. 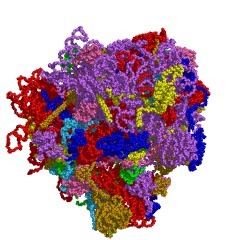 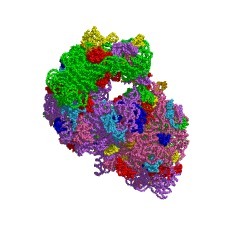 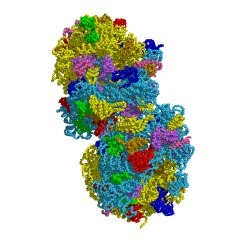 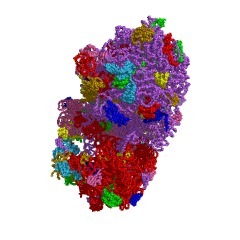 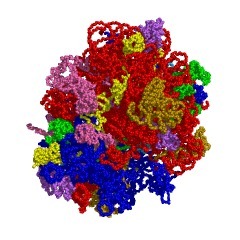 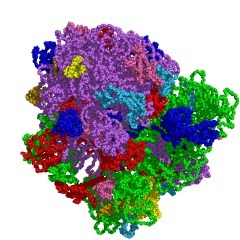 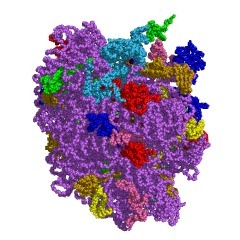 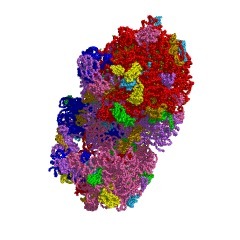 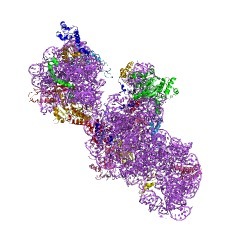 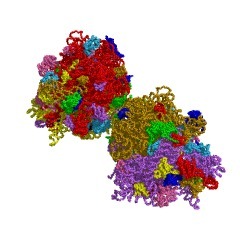 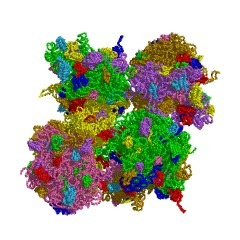 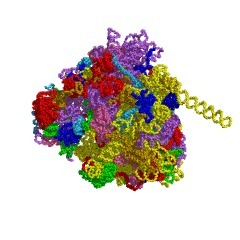 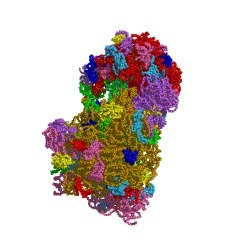 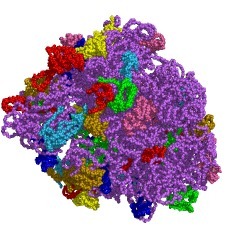 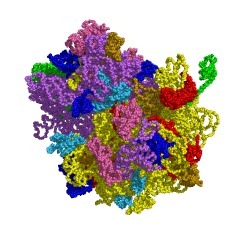 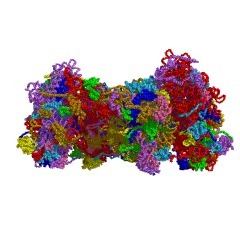 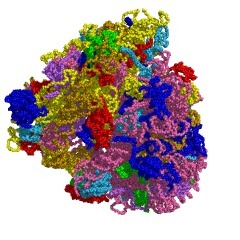 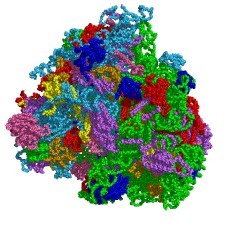 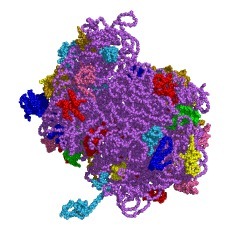 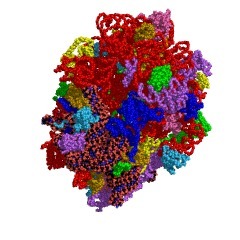 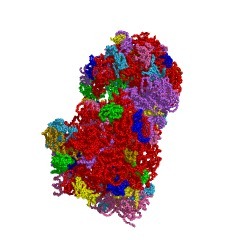 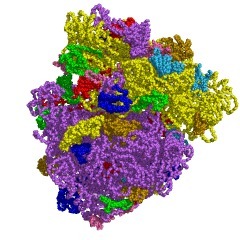 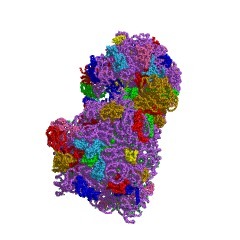 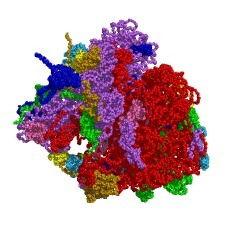 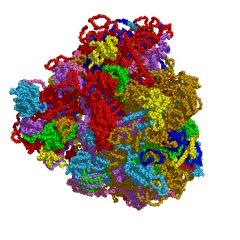 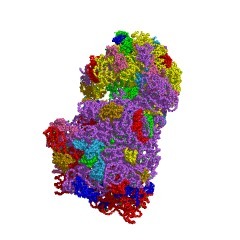 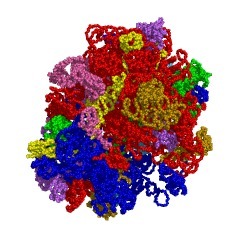 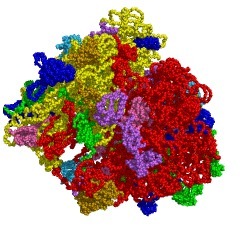 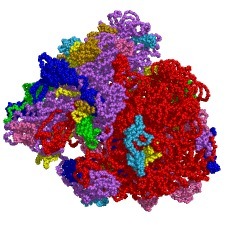 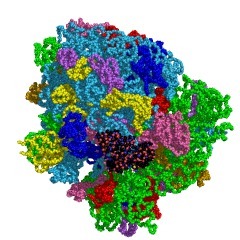 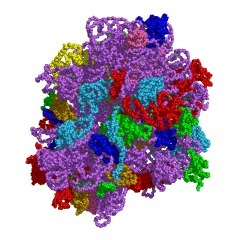 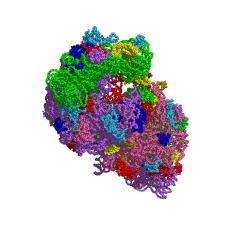 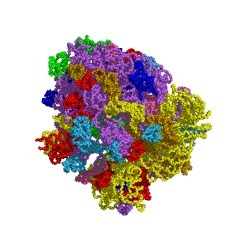 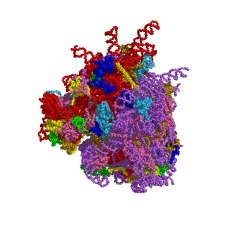 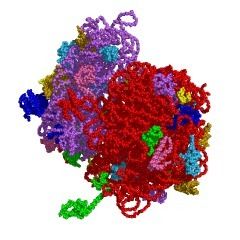 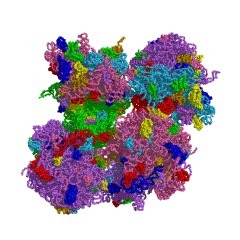 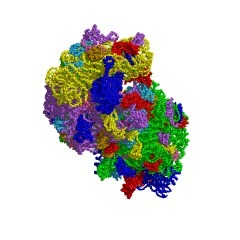 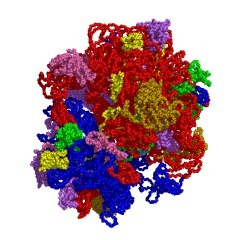 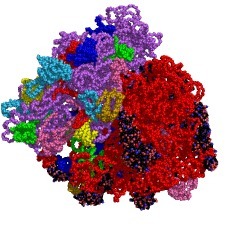 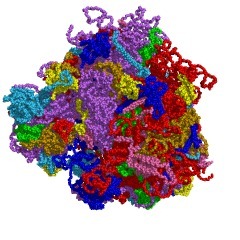 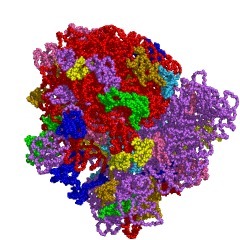 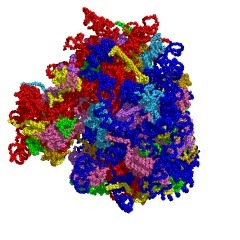 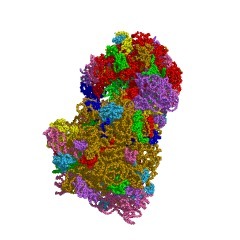 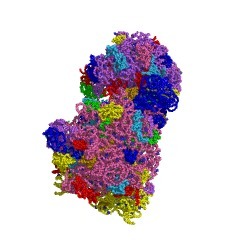 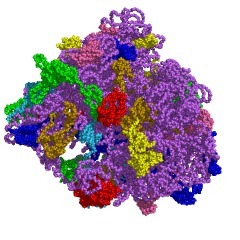 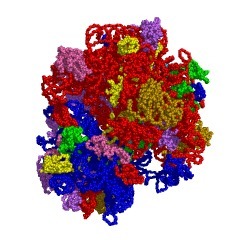 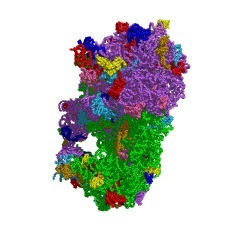 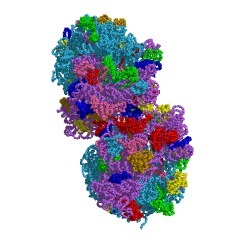 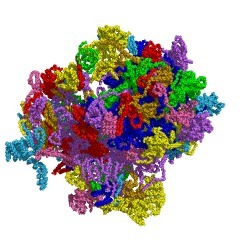 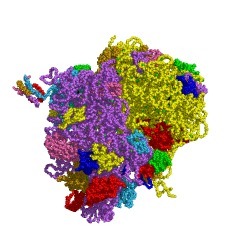 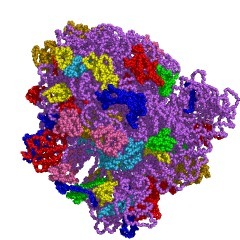 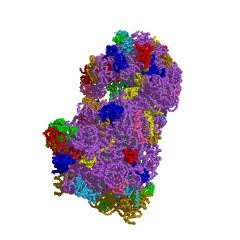 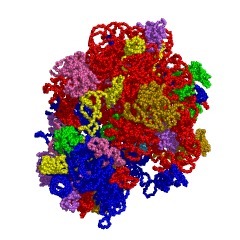 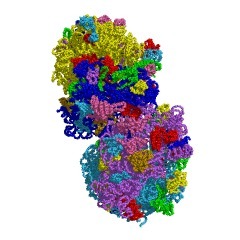 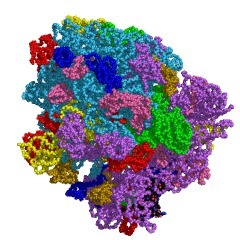 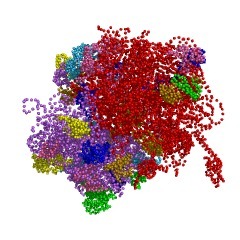 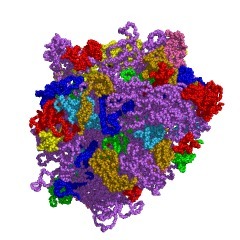 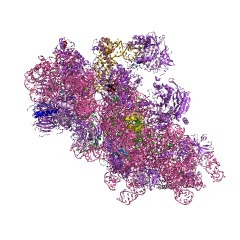 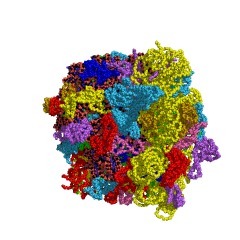 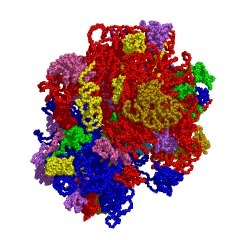 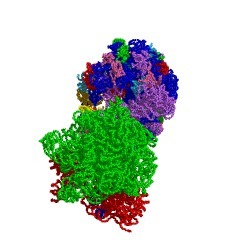 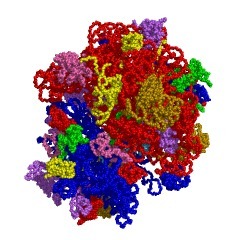 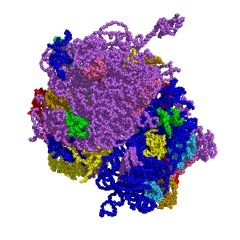 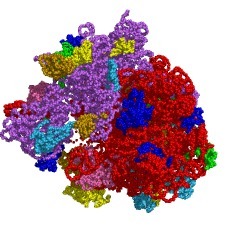 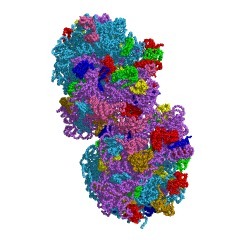 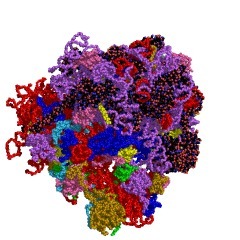 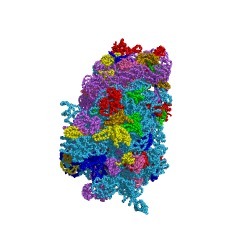 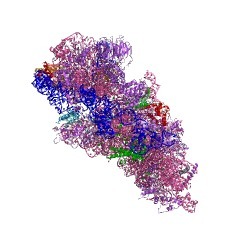 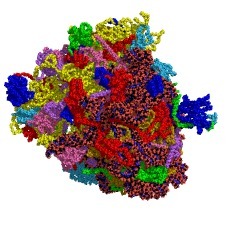 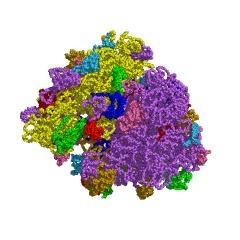 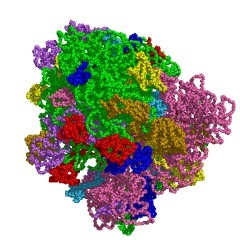 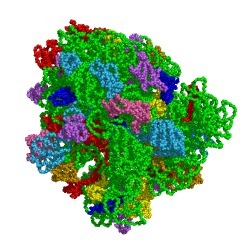 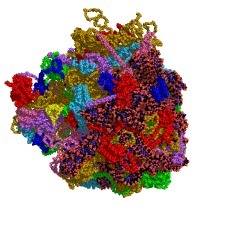 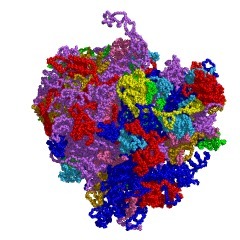 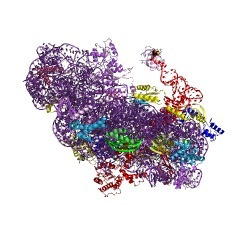 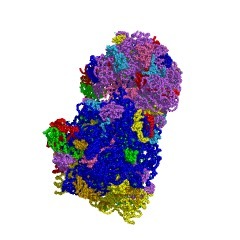 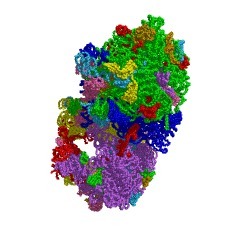 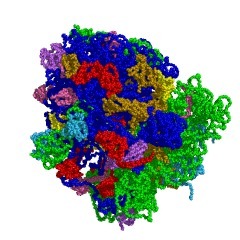 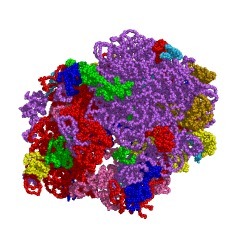 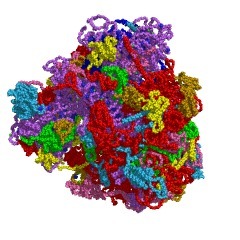 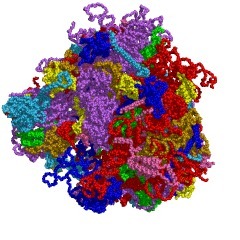 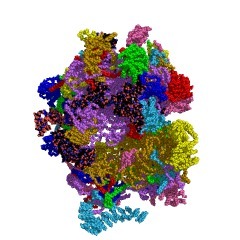 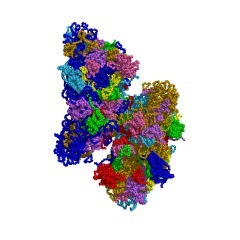 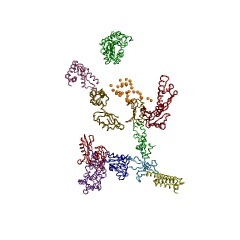 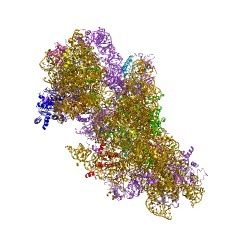 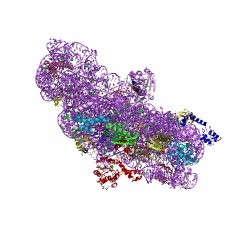 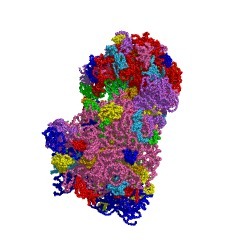 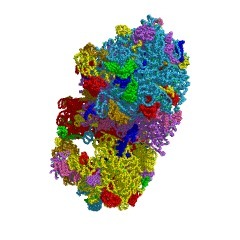 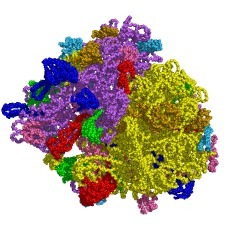 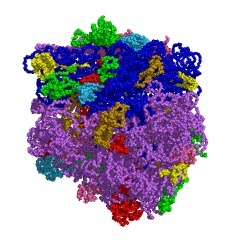 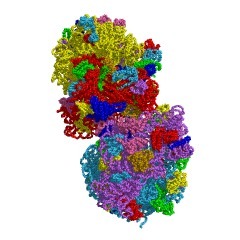 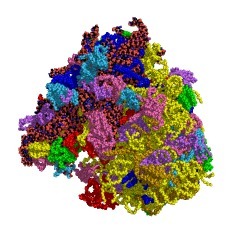 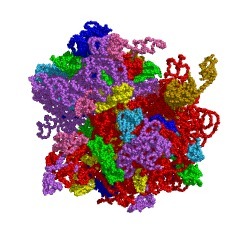 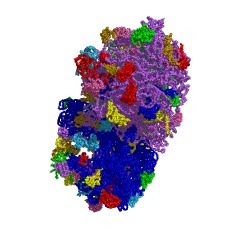 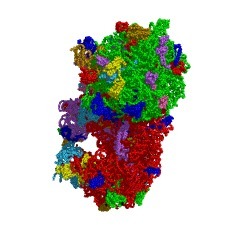 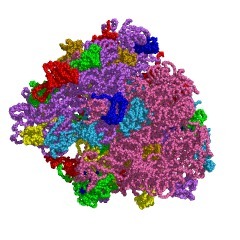 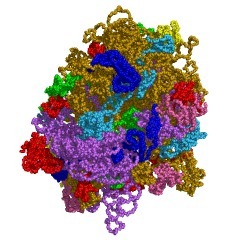 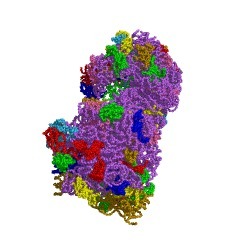 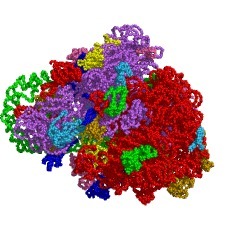 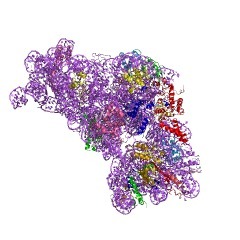 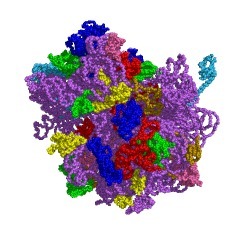 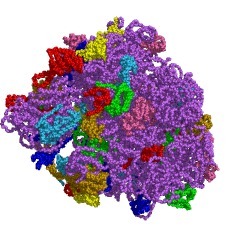 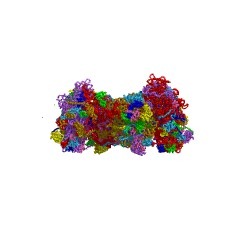 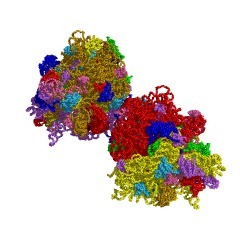 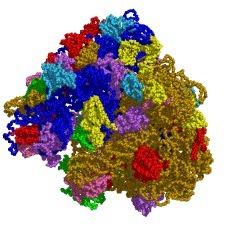 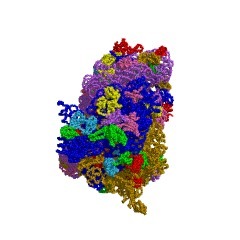 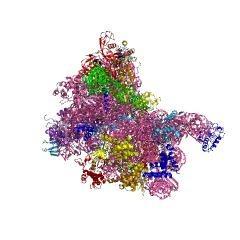 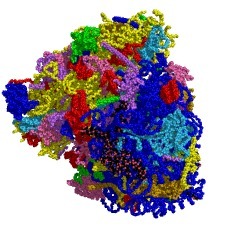 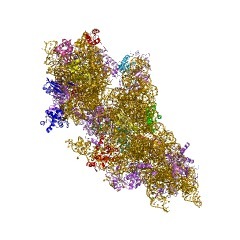 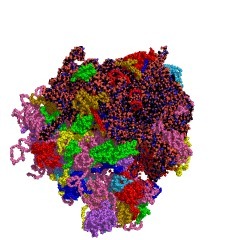 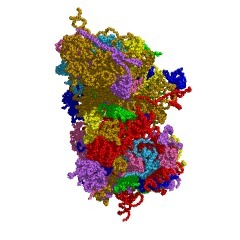 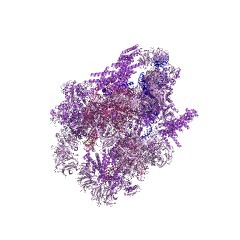 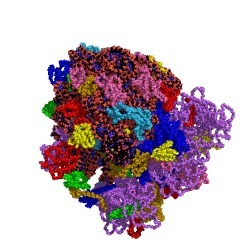 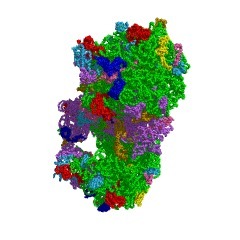 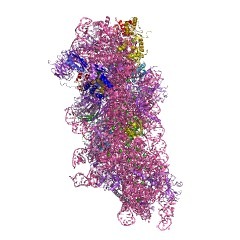 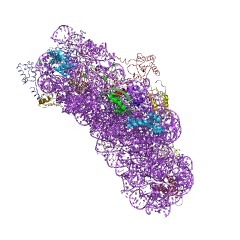 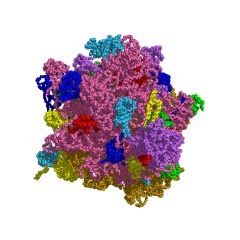 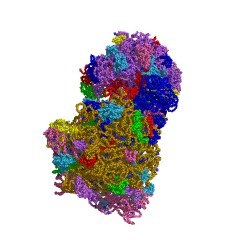 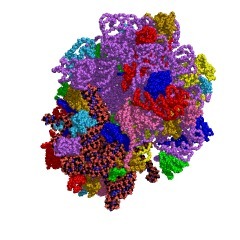 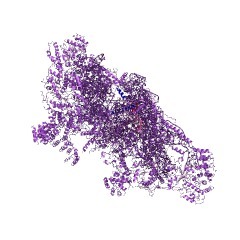 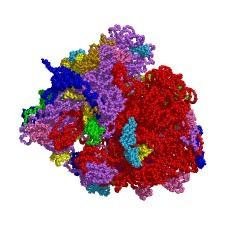 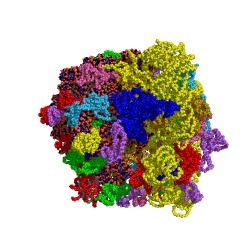 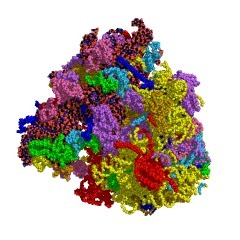 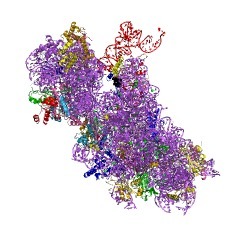 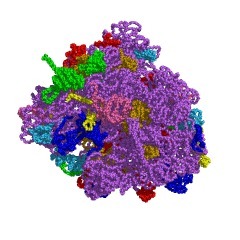 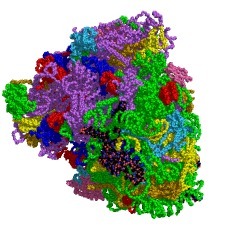 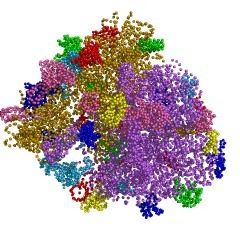 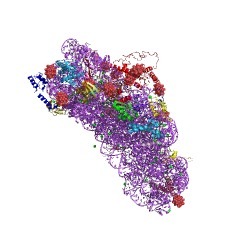 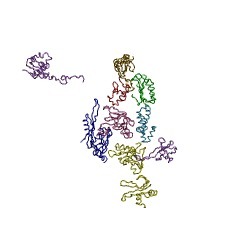 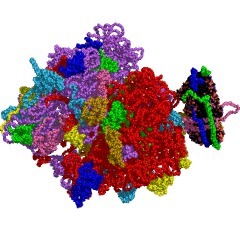 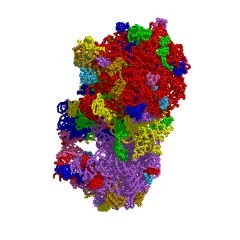 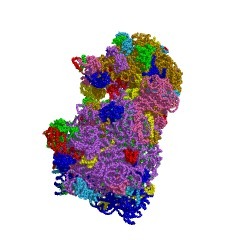 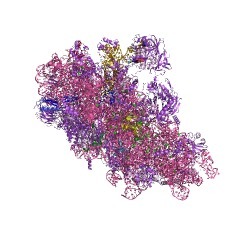 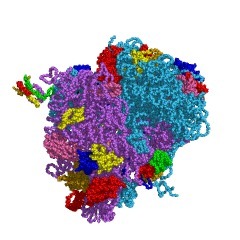 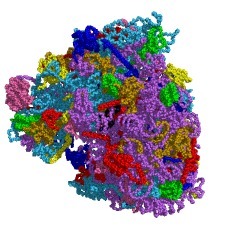 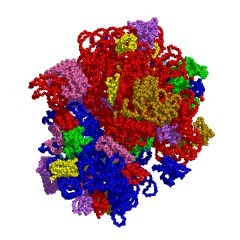 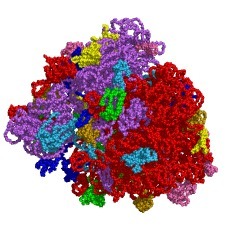 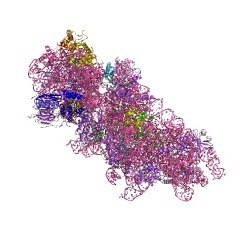 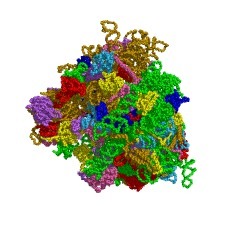 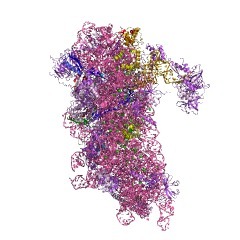 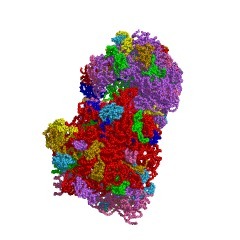 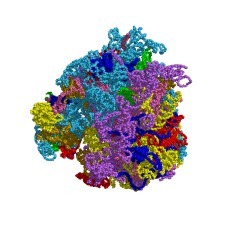 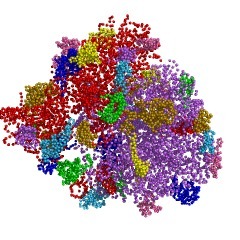 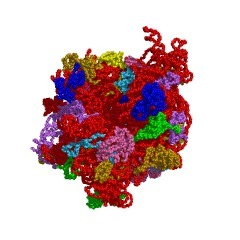 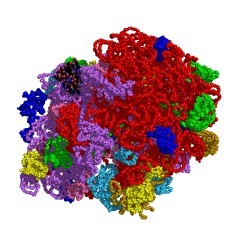 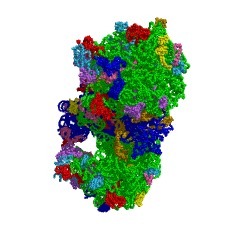 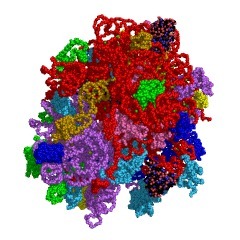 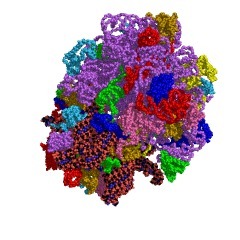 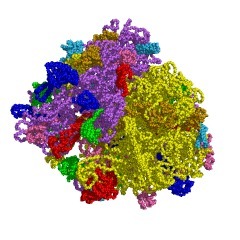 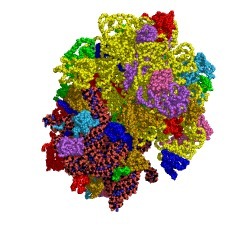 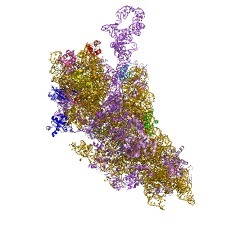 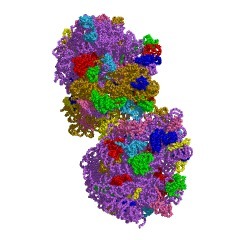 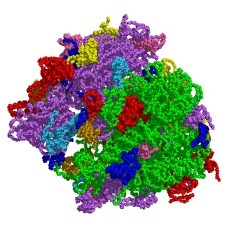 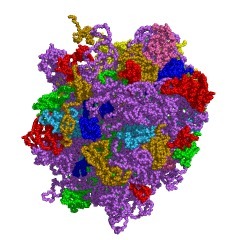 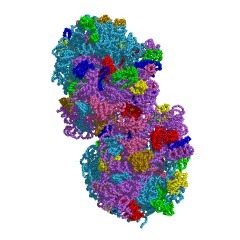 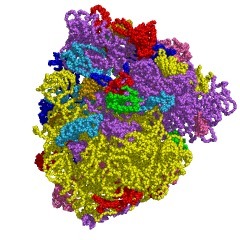 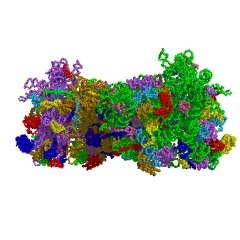 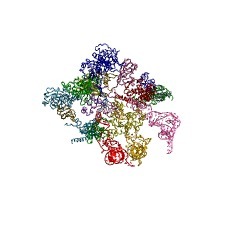 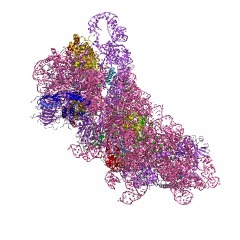 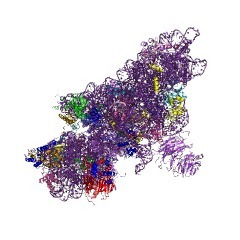 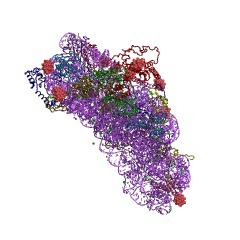 2vaz Model of the S15-mRNA complex fitted into the cryo-EM map of the 70S entrapment complex.